Thanks for continuing to read and check out our church’s blog. 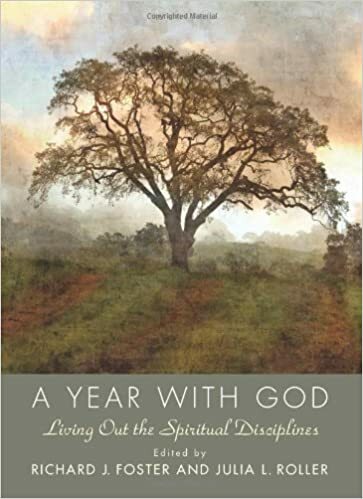 On Monday, September 14th we’ll begin a year long focus as a congregation called “A Year With God”. We’ve “borrowed’ (church speak for “ripped off”) the title from Richard Foster’s 2009 book with that same title. We will also have copies available at church beginning the first Sunday in September. We’re going to have to go analogy on this reading…unfortunately there are no digital copies available for this title. Each day we’ll have a post here that comments on the reading and invite your comments on the reading below. Looking forward to this Year with God!